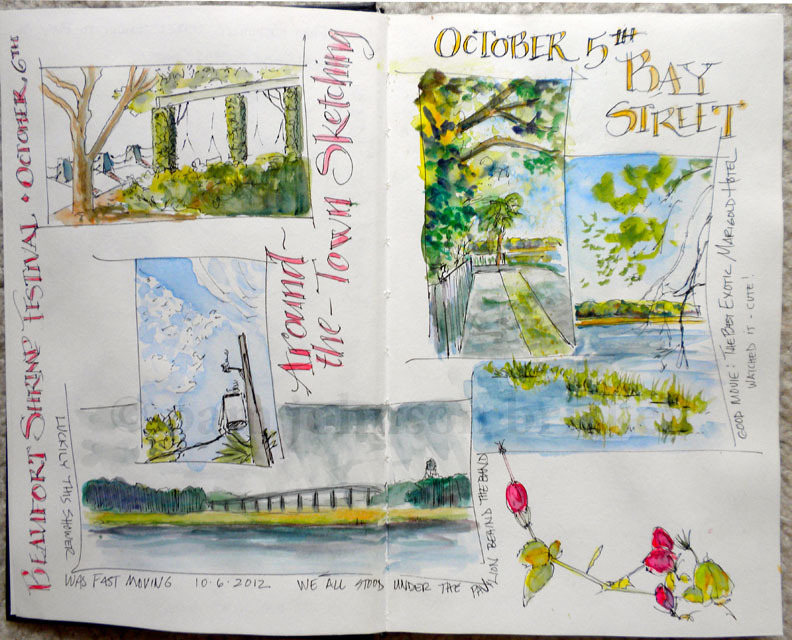 The first Friday and Saturday in October found me in Beaufort conducting a workshop at Coastal Art Supply. Around-the-Town Sketching is one of my favorite workshop formats. 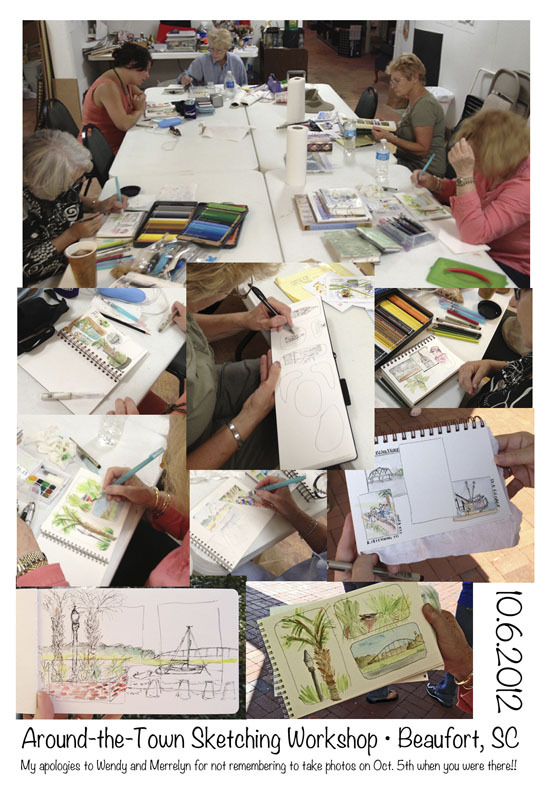 Participants gain experience with fast sketching, sketching with pen, plein air watercolor sketching and lettering. We spend the mornings sauntering around the streets of Beaufort and sketching. Sometimes sketching with pen and adding color later in the comfort of the classroom and other times, we find a comfy spot to sit and sketch and paint plein air. I used a Stillman & Birn Alpha Series hardbound journal during the workshop. The paper takes watercolor washes beautifully and is smooth enough to write with an 01 Micron pen. The paper is opaque enough not to show images from the previous page. A winner! It is always a treat to see your posts. I love your style. Your images are very inspiring. How lucky your students were to have a class with you. Wish you were on the West Coast.... Have a happy weekend.